Our 5 day courses run from Monday to Friday and give pupils the opportunity to really develop their skiing or snowboarding skills. You will ski on one of Scotland’s premier ski centres; Cairngorm Mountain, Nevis Range or the Lecht. 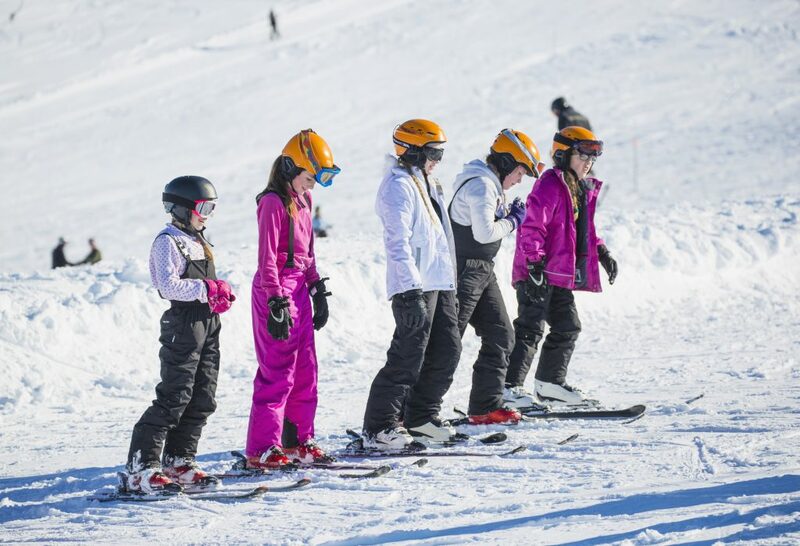 The 5 day skiing & snowboarding courses are designed for beginners and intermediates. This will take your skiing or boarding to a new level – you will get at least for hours instruction each day as well as time to practice your new skills. At the end of the week we would hope to be able to offer everyone a UK Snow sports Award. Courses run every week throughout the winter season and normally until early April. Skiing and snowboarding courses run every weekend throughout the winter season and early spring at Craigower Lodge. The resorts used for our lessons are the Lecht Ski centre, Cairngorm Mountain and occasionally Nevis Range depending on conditions. Courses are suitable for complete beginners and intermediates. Also we can offer Scottish Snowsports Awards to guide and encourage you in your development. For schools with less time available, a great way of introducing young people to snowsports is by organising a day trip to the slopes. Skis & lift passes are organised in advance so you can go straight to the slopes on arrival at Aviemore, Lecht or Nevis Range. Please send a booking enquiry to discuss your exact group requirements and availability. Check our some highlights from the recent snowsports 2018 residentials below!